The severity and complexity of threats is growing by the day. Despite the implementation of world-class systems, data proliferation is steadily increasing the number of breaches. In a highly interconnected market, it’s imperative to have a robust monitoring mechanism in place, that can automatically detect and remediate unexpected threats, performance speed breakers, and network problems – in real-time. Tech-savvy attackers need to be responded to in real-time, to limit the damage to their dangerous intrusions. 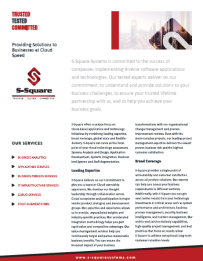 We at S-Square Systems adopt a business-driven approach of bolstering security, compliance and operating models that help you stay one step ahead of cyber bullies. 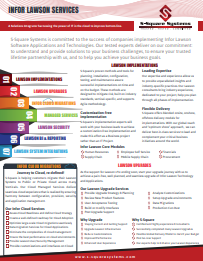 Our enterprise security solutions accommodate a gamut of capabilities across technologies and industries. With a strong commitment to safeguarding your business assets, we take pride in our ability to chalk out strategies that are necessary to maintain critical infrastructures. Our end-to-end offerings include application security services, risk assessment, proactive protection of information assets and IAM, among others. Add value to your security program with our dedicated IAM engineering teams. Maintain complete control of user access rights. Avail the right resources at the right time for the right reason. Provide appropriate access to resources across heterogeneous technology environments. Become more agile in supporting & improving new business initiatives. Benefit from data security infrastructure solutions that understand and meet your business goals. Increased visibility on information exchange across the enterprise. Avail protection across the extended networks—before, during, and after attacks. Analyze malicious intents proactively and automate management of emerging threats. Obtain best-in-breed protection from constant and rapidly evolving IT threats. Develop frameworks to comply with regulatory requirements and improve the quality of your GRC initiatives. Leverage best-in-class technology platforms and system integration methodologies to improve organizational security. Unify the scope, efficacy, and purpose of risk management, and threat compliance to improve all-around visibility. Specialized assistance in business-critical domains. Identify, monitor, manage and remediate, enterprise risks. Set the right tone and make better sense of business decisions. Cover all bases in protecting digital business models. Encompass critical aspects of industry-wide digital security. Achieve efficiencies and support the changing needs of a digital ecosystem. Minimize system downtime and ensure fast recovery in case of a security mishap. Transform your security initiatives into a user-friendly, cost-effective experience. Raise the bar while setting new standards for data protection. Predict, prepare for and combat online attacks effectively. Build cyber resilience to meet data privacy standards. Identify and prevent data thefts. Harmonize the similarities & differences between data privacy and protection. Aggressively assess, test and adopt best available technologies. Achieve massive economies of scale. Focus your attention on high-level application security management. Get low-cost access to large amounts of storage/processing capacity. Prevent server crashes during high traffic periods by up-scaling your cloud solution. Stay abreast of the latest security updates to protect you from intelligent malware. Gain actionable insight into every single move — by location, user, and device — within seconds. Create a holistic culture of inbuilt security. Work with cybersecurity and intelligence entities to make IoT devices for consumers and businesses alike. Interlace human understanding with algorithms. Implement best practices for securing IoT devices across all domains. Improve security throughout the development lifecycle of an IoT product. Always be in the know of the best ways of upping your IoT security. Mitigate security problems and address threats faster. Accelerate the adoption of automation of DevOps security. Discover how to make security requirements a key tenant of DevOps best practices. Secure both the code and the environments. 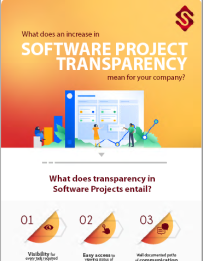 Gain visibility over the entire systems development lifecycle. Enable automated security via tools that can be shared across different functions. Attain high speeds without risking governance or stability. Literally, hundreds of applications and legacy systems are used by organizations every day. The efficiency of a business operation is predicated on the utilization of data and applications. Be it transitioning to cloud-based applications, optimizing workforce or automating IT infrastructure – companies are increasingly finding that they cannot do without an expert technology partner who can help navigate the tough terrain of today’s business landscape. In other words, process transformation is no longer optional. Service provider hamstrung by the lack of management support system cannot fulfill the all-important mandate of sustaining or improving operational margins. 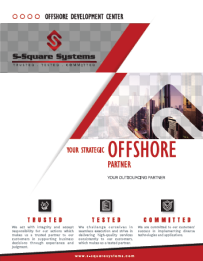 We at S-Square are committed to migrating legacy applications to complement the evolving business needs. Rather than conforming to the old-school tradition of break-fix methodology, our dedicated managed services are aimed at preventing such issues before they begin disrupting your business. With our Managed Support Services, you are sure to reap the proven advantage of preventing fires as opposed to fighting them. Streamline business processes without affecting productivity or efficiency. Traverse the entire EA lifecycle – from package evaluation and execution to migration via integration, support & maintenance, and enhancements. Provide a secure and high-performance platform. Reduce the time taken in bug fixing, debugging and troubleshooting. Improve application performance by updating application management strategies. Create data and dimensional models which accommodate changing business requirements. Get the desired results for years without having to make constant enhancement. Transform data from your business intelligence/reporting applications into actionable information. 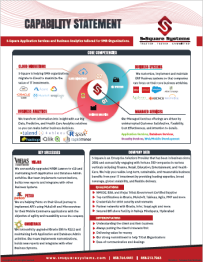 Get the most out of your existing business applications. Maintain data quality across the enterprise environment. Facilitate better decision-making while catapulting customer UX. Painlessly upgrade your applications & systems. Enhance security and productivity with efficient processes. Eliminate errors during migration by automation. Improve business performance by leveraging the best technologies and expertise. Grow your business by using the right blend of current application management in relation to technology enhancements.